The IntraSonic RETRO-M Intercom System is a popular music intercom choice as it can replace almost any M&S, Nutone, Broan, IntraSonic, or AudioTech Intercom System using existing wiring. With the IntraSonic RETRO-M, the master unit housing from your old system can be reused as long as it is 10 inches tall or less. This system is popular among music lovers as it includes a USB charging port for music devices, AM/FM radio presets, and plugs in for a variety of other music devices. Commercial or residential, large or small, any venue can benefit from the numerous features that the IntraSonic RETRO-M Audio Intercom System has to offer. Schools, business offices and home residences are only a few popular locations for the IntraSonic RETRO-M Intercom System. Privacy calling is a popular and unique feature of the IntraSonic RETRO-M Intercom System. Calls are sent to all intercom stations and then privacy mode kicks in once a receiving station accepts the call. Hands free calling and answering is also available when reaching the intercom is not convenient. 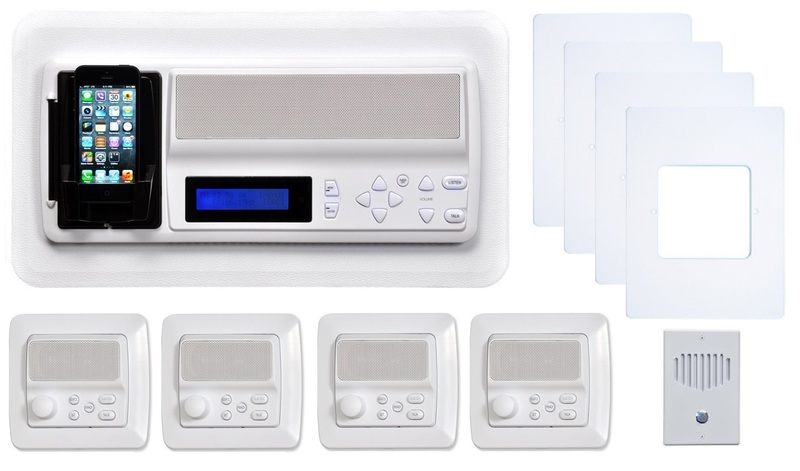 The IntraSonic RETRO-M Intercom System can integrate as many as 13 zones including two doors and one auxiliary input. The system can be installed using the current three, four, six or seven-wire cables in place. 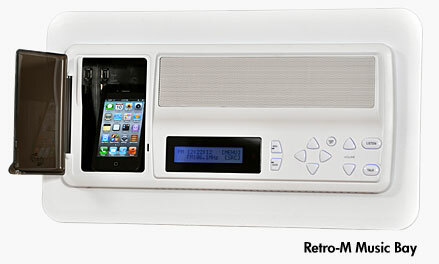 Unlike any other replacement system, the IntraSonic RETRO-M Intercom System’s room and patio stations can be wired directly to the eight ohm ceiling and wall speakers. 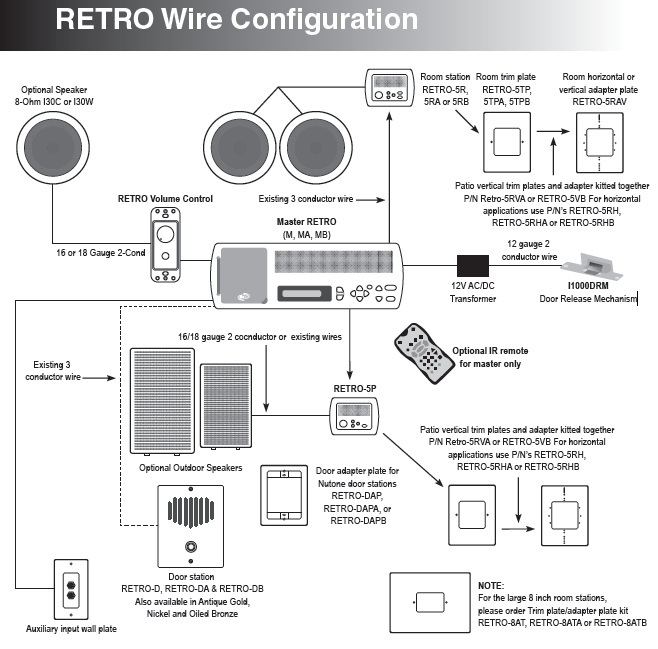 Other specifications of the IntraSonic RETRO-M Intercom System include the ability to tune stations directly from each room station, sharing between intercoms through the master station, and an optional door release function. The intercoms are programmed with listen or talk functions, either with or without using hands. 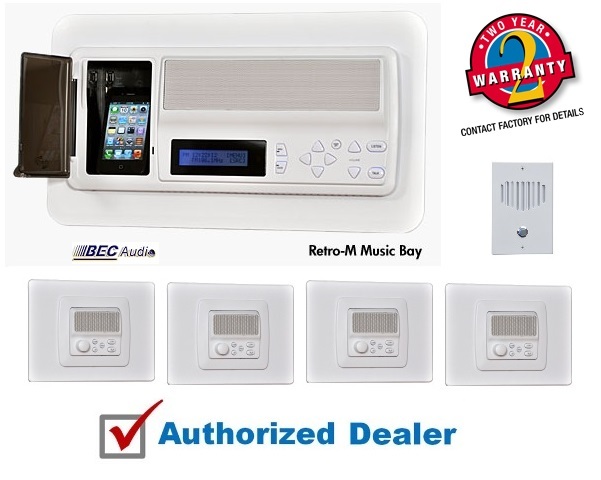 The IntraSonic RETRO-M Intercom System includes a door intercom to monitor guests with the ability to allow entry without leaving the master station. Each room station has its own volume control for music an intercom functions. The master station pairs with an optional hand held remote for convenience. 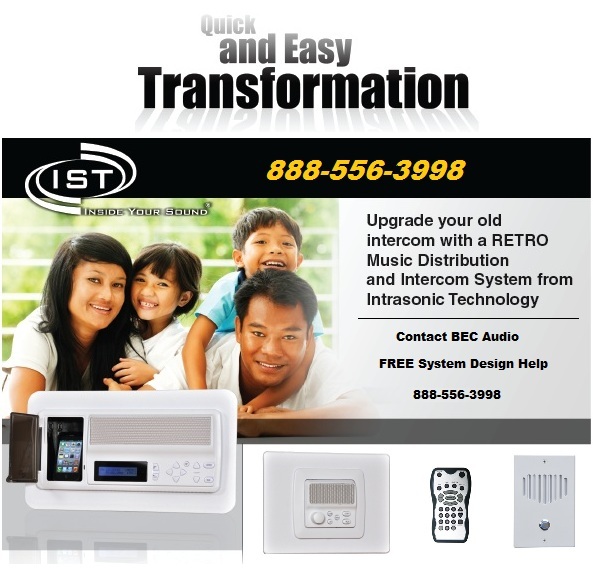 For more information regarding the IntraSonic RETRO-M Intercom System contact us at BEC Integrated Systems. Upon completing the following quote form, your fully customized and complete replacement intercom system kit will be instantly sent to the email address that you provide. You may call us or place an order directly from the quote PDF that is sent to your email. Always be sure to check your email spam box if your quote has not arrived within 60 seconds of submitting the quote form!